What Is Retail Shrinkage? Retail shrinkage is the portion of your inventory that gets lost or stolen. It is expressed as a percentage i.e. value of lost or stolen stock divided by overall sales. 05 May $48 billions worth of goods are lost annually due to Retail Shrinkage”- Want to know industry’s best practices? 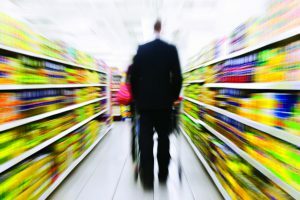 Have you ever noticed while shopping in a hypermarket that store staffs are busy replenishing stocks on the self, checking or changing price tags, if “Yes”, then please read this article as it would give you insights to appreciate retail store staff’s efforts to reduce “Retail shrinkage”. My inspiration to write this article is my attempt to help retailers manage their “Retail shrinkage” before it becomes a headache for them. 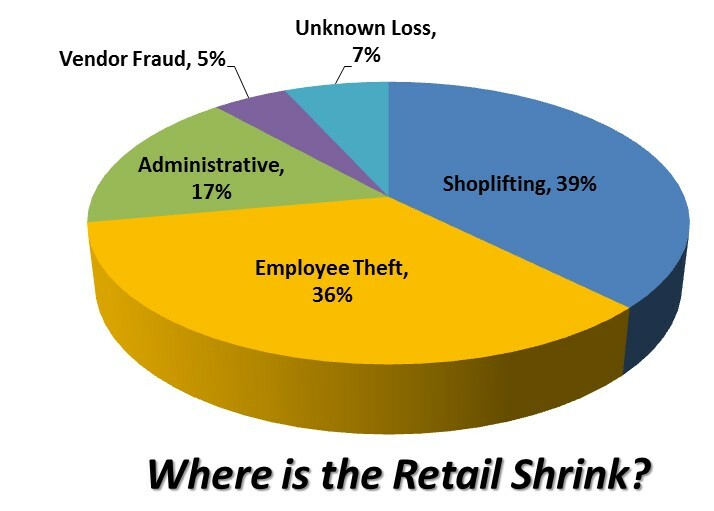 As per retail shrinkage statistics research by Food Marketing Institute into the causes and cures of a retail supermarket, shrink indicates that 64% of store shrink is directly caused by either a breakdown in or lack of effective store operating best practices, while 36% of store shrink is caused by theft and/or misdeeds. Retail shrinkage is the portion of your inventory that gets lost or stolen. It is expressed as a percentage i.e. value of lost or stolen stock divided by overall sales. Why Retail shrinkage causes a headache to retailers? “Retail Shrinkage” of 4% can wipe off 12% of your Net profit, leaving the cash-strapped retailer in a chaos, thinking what has hit them unknowingly. How to prevent Retail shrinkage in Retail? With the advent of technology, this task has become less painful but I strongly believe in following the basic principles of Loss Prevention methodology in order to achieve your organization’s goal. Commitment from Top management and Brand owners: Any strategic change can only be implemented successfully if there is a complete 100% commitment from the top management or brand owners. By making employees accountable: Employees throughout the company must take responsibility for reducing shrinkage. The company should see loss prevention as equal to sales in importance. Train Staff to Follow Security Policies and Procedures : Not only retail sales staffs needs to be trained but also warehousing staffs who are responsible of processing sales request or sales order i.e. reduce variances or shrinkage by correctly picking and packing an item for the store and by proper documentation data entry at the time of processing delivery notes. One of the best deterrents against shoplifting is good customer service. The elements of friendly, helpful service naturally conflict with the accessible environment shoplifters want. Greeting customers when they come in the store makes them aware you notice their presence. Approaching them to ask if they need help and checking in periodically helps prevent them from feeling comfortable enough to steal. 4) Consider Your Store Layout: An open floor plan where retail sales staff or service associates can see much of the store from central locations helps as well. 5) Technology: Technology also is used to deter stealing. Security cameras and electronic surveillance tags and scanners are among the more common tools used to prevent shoplifting. Electronic tags and scanners are used to signal loss prevention employees when someone tries to slip out the door without paying for an item and having the tag removed. Minimizing or eliminating employee theft is a challenge. Building a trusting environment with a motivated workforce is the ideal starting point. If employees are motivated, fairly paid and empowered, they are less likely to feel compelled to steal. It should be a common goal for all retail floor staffs to prevent accounting errors and fraud. Employees need to accurately count products when they arrive and compare them against Delivery note or what the Point of sales system says they should receive. 7) Annual or Bi-annual Stock audit: Count the physical inventory in your business every year or twice a year to take corrective steps. A recent study was done by an auditing firm on Loss prevention program by studying companies like Target, Limited Brands, Best Buy, Gap, and CVS. Their findings were an eye-opener, the average shrinkage rate of these five companies was 44% below the U.S. mean, and one company’s rate was 70% below. Linking shrinkage to KPIs: Companies can help keep shrinkage on the agenda by, for example, providing regular shrinkage scorecards, linking it individual staffs KPI’s and using it at the time of appraisals. These companies have shown that demonstrating strong leadership, embedding effective procedures, and ensuring compliance can drastically limit situations where shrinkage can occur.